Steve Beresford (small objects) + Angharad Davies (violin), The Stargazers Assistant (percussion) and Disinformation (electronics). Organised by Steve Beresford and Poulomi Desai. Internationally known as a free improviser on piano and electronics, Steve Beresford also composed scores for 3 feature films and numerous TV shows and commercials. Steve has worked with hundreds of musicians, including Usurp Gallery performer Najma Akhtar, and Derek Bailey, Han Bennink, Ivor Cutler, Ray Davies, Christian Marclay, Evan Parker, Adrian Sherwood, Otomo Yoshihide and John Zorn. In 2009 Steve performed “Ephemera” by Christian Marclay, solo at The Louvre, and Steve recently performed “Indeterminacy” by John Cage with comedian Stewart Lee and pianist Tania Chen. 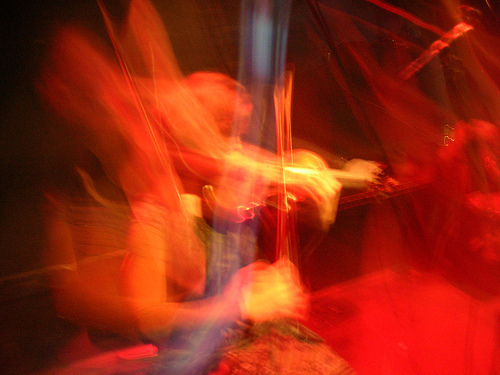 Angharad Davies is a violinist active in contemporary, improvised and experimental music, whose freelance projects include work with artists such as Tony Conrad, Kazuko Hohki, Jim Thirwell and Mark Wastell. Since 2002, she has been exploring and expanding sound production on the violin by extending the sounding possibilities of the instrument. The Stargazer’s Assistant is the solo project of artist and Guapo percussionist / founder David J. Smith. Initially born out of the need to incorporate a sound element into David’s large-scale sculptural installation “The Other Side Of The Island”, since 2007 The Stargazer’s Assistant has evolved into a fully formed musical entity, producing a series of highly composed and labour-intensive CD recordings, and live improvisations which focus on eclectic and subtle percussion performances which exude warmth of emotion. David Smith will be joined by David Knight on electric guitar and effects. David and David also perform together in The Amal Gamal Ensemble. Disinformation is an art project primarily known for pioneering work with electromagnetic induction effects produced by the sun, lightning, the National Grid, and (as currently exhibited at Usurp Gallery) photographic flash equipment etc. Disinformation partly evolved out of its author’s involvement (as a ground observer) in the Istochnik-Ariel laser antenna experiment on space station MIR. Since then Disinformation has exhibited in a nuclear bunker, bank vault, trawler and railway tunnel, at The Hayward Gallery (alongside Christian Marclay and Brian Eno), at Palais de Tokyo (Paris) and (for the MTV Awards) in Barcelona’s Olympic Stadium, had 12 solo exhibitions, and collaborated with musicians such as Jim O’Rourke (from Sonic Youth) and saxophonist Evan Parker.